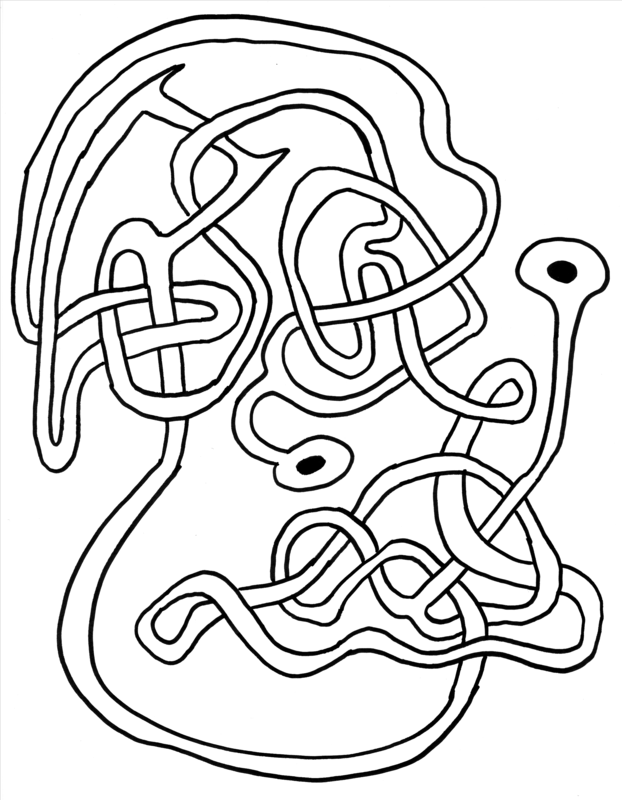 In February, I titled the image “over there” as in where to go when solving the maze, but it looks so dense as I post it now that I prefer the name Crowded Mouse. 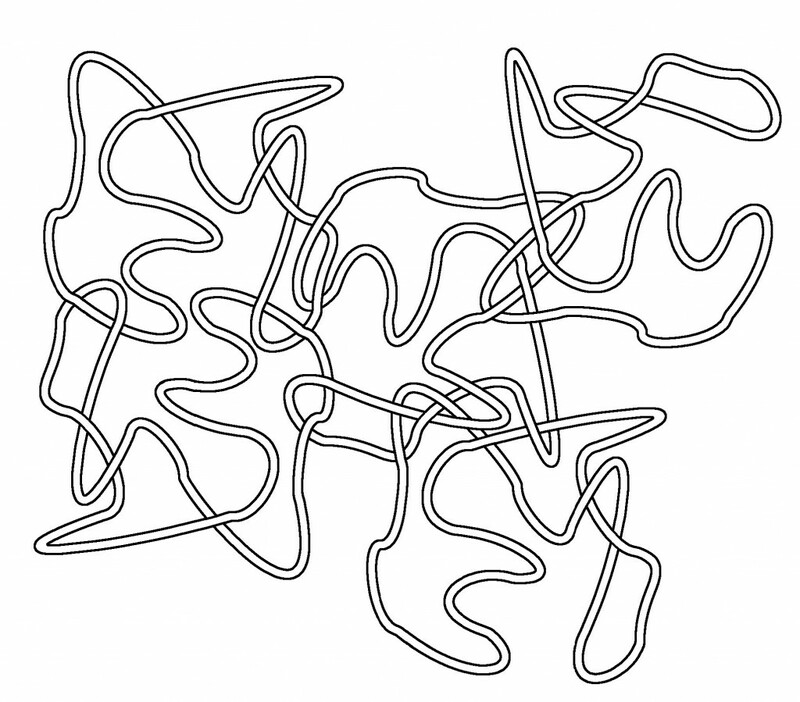 Not a maze with a start and end, but with a question of how few loops need to be cut to release all of them? These curvy noodles have two points in them. But is there a point to the points? Do they look like an animal? An owl maybe? Or a cat? 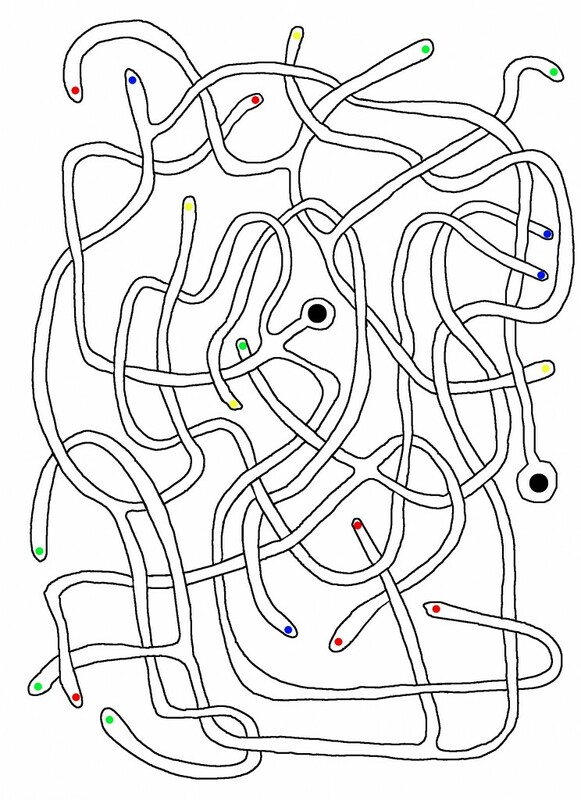 This maze features perhaps three distinct puzzles, each of which start at a black disc and end at the other. 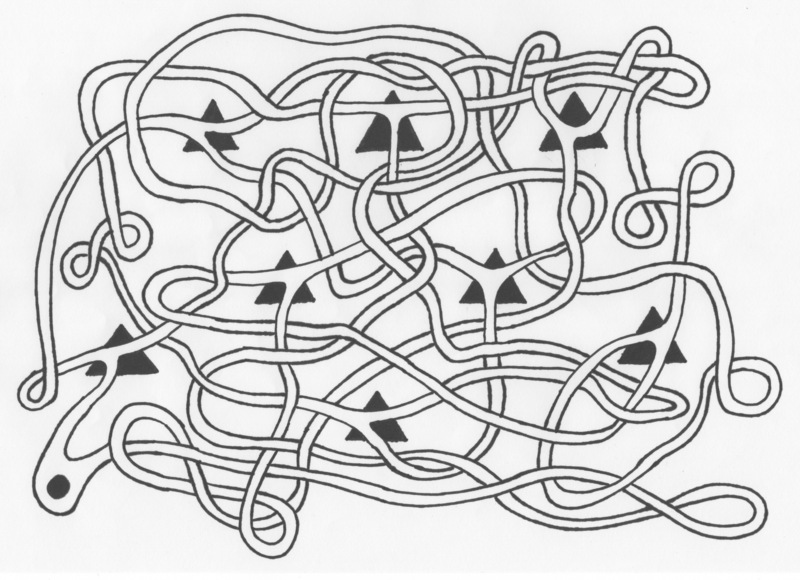 Easy: use teleportation stations (jump to any other identical symbol) using only black noodles. Not as easy: use red or blue noodles as well, but not both. 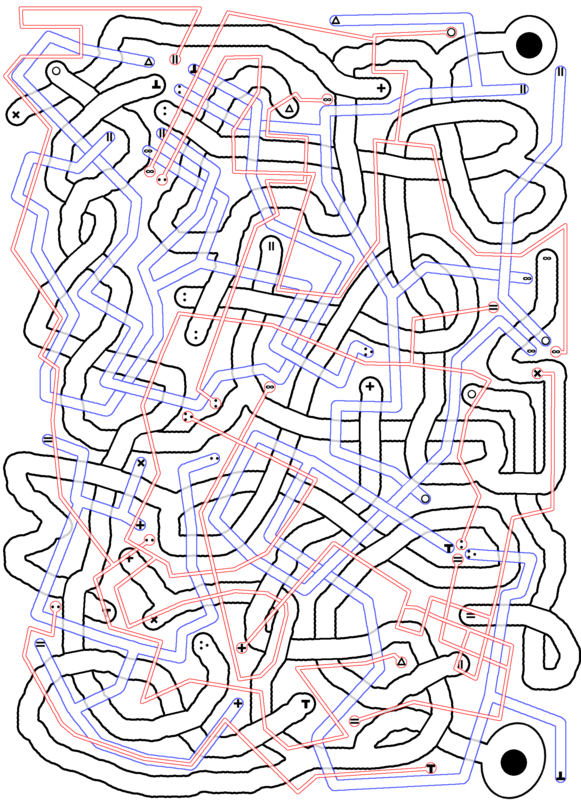 Harder: use teleportation stations in all three colors of noodles. From arrow to arrow to arrow. 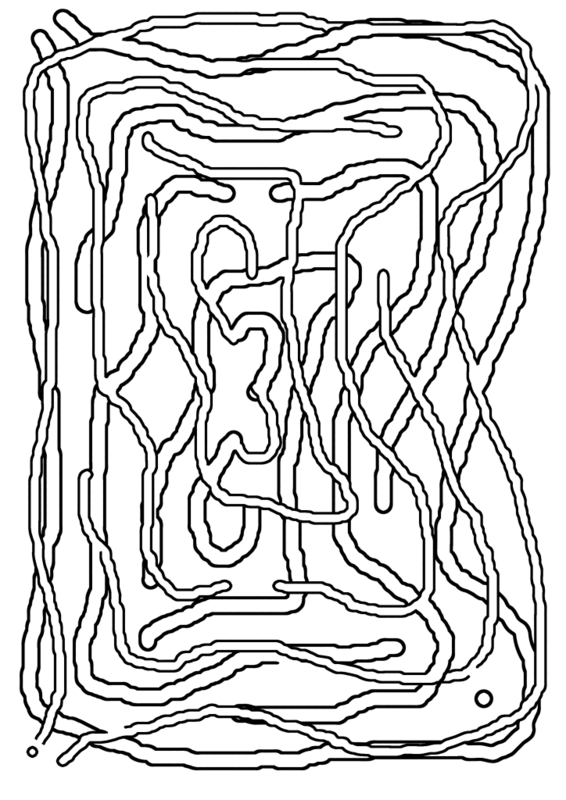 My friend Michael John Grist suggested a maze with teleportation sites. That sounded pretty fun to me, so here is my first version. 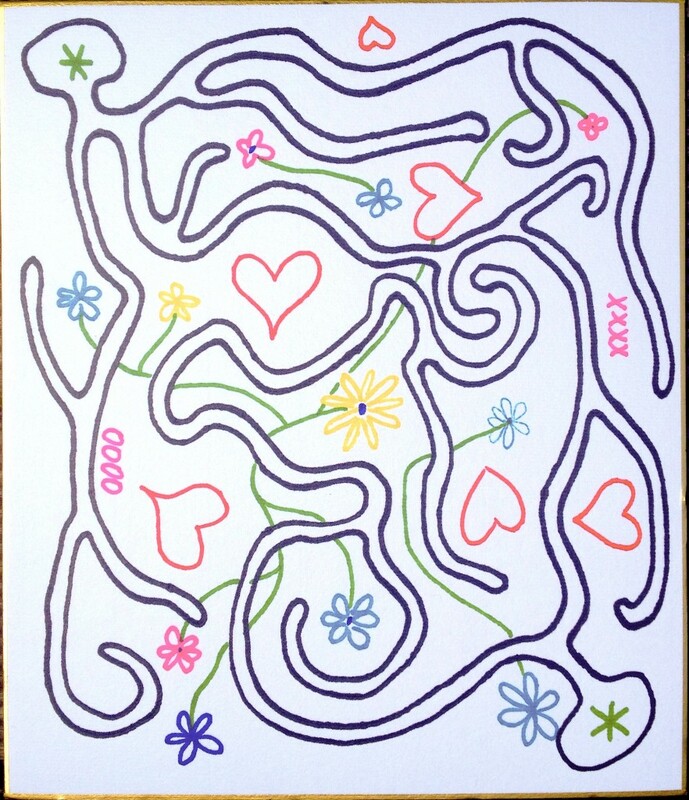 Start at either of the large black dots and make your way to the other. The paths cross under and over each other. colored circles are teleportation stations. Jump to any other same-colored circle. 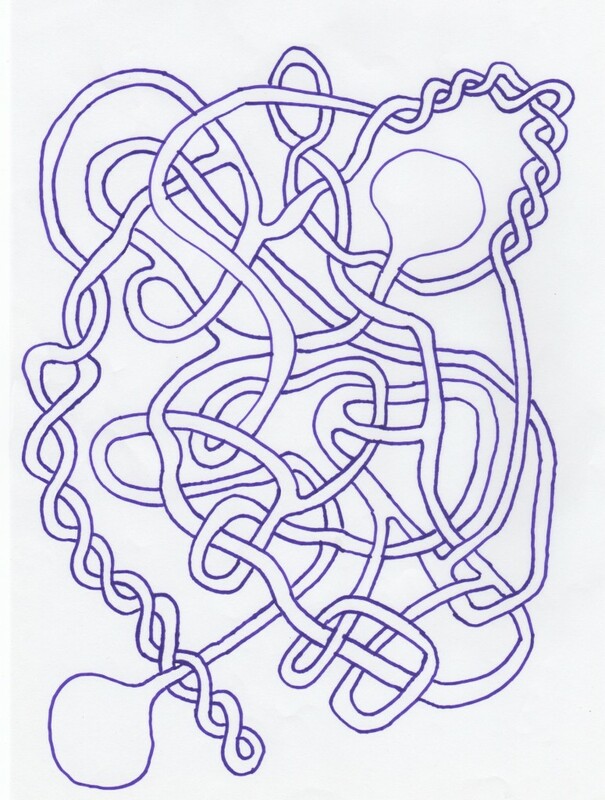 The maze is pretty easy that way, so I arranged it so we can use all the teleportation stations exactly once (either coming or going) and still solve the maze. For my mom, for her birthday. 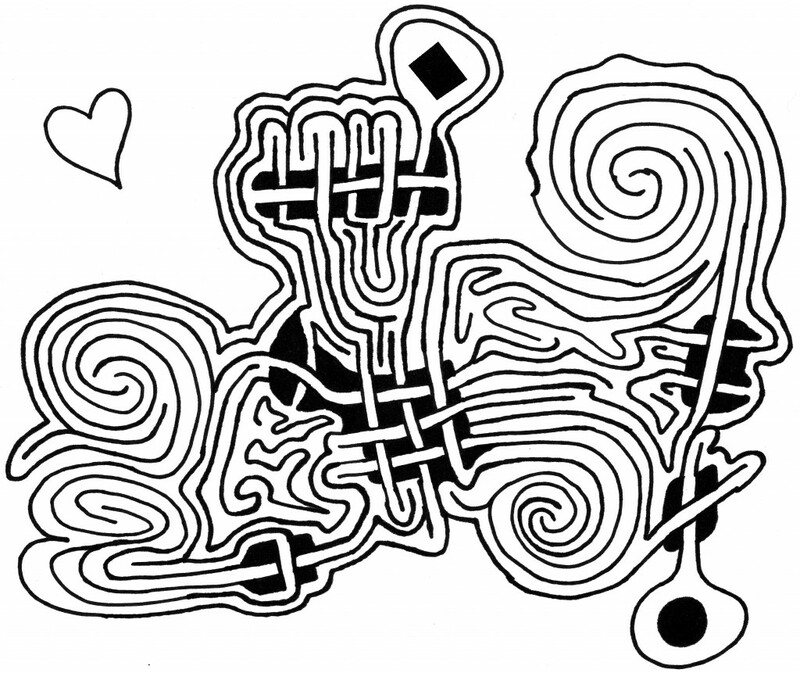 I don’t know if it really counts as a maze, but it’s hand drawn with love (and post-processed with Gimp). 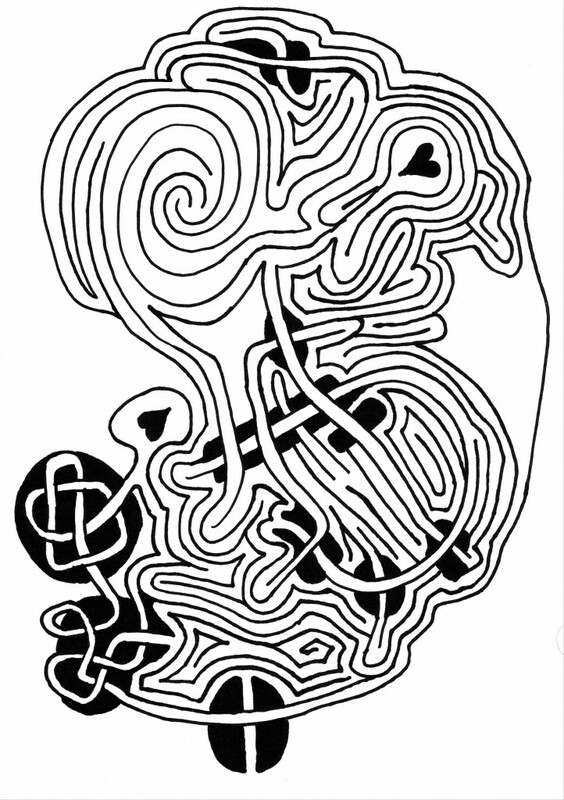 Another of the mixed path variety, this maze may be a bit more difficult than the previous one. Go from one heart to the other. Paths cross under other paths when surrounded by dark areas. 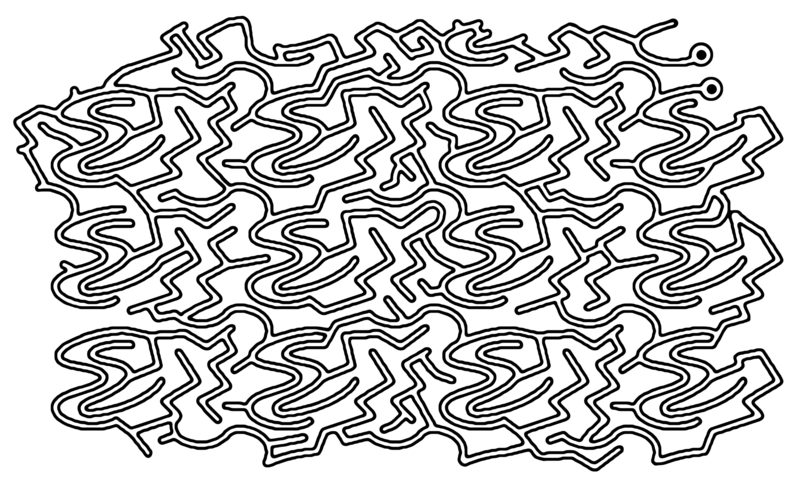 This maze tries to mix two types of paths: normal paths, and what I call “noodles,” or paths that cross over and under other paths. 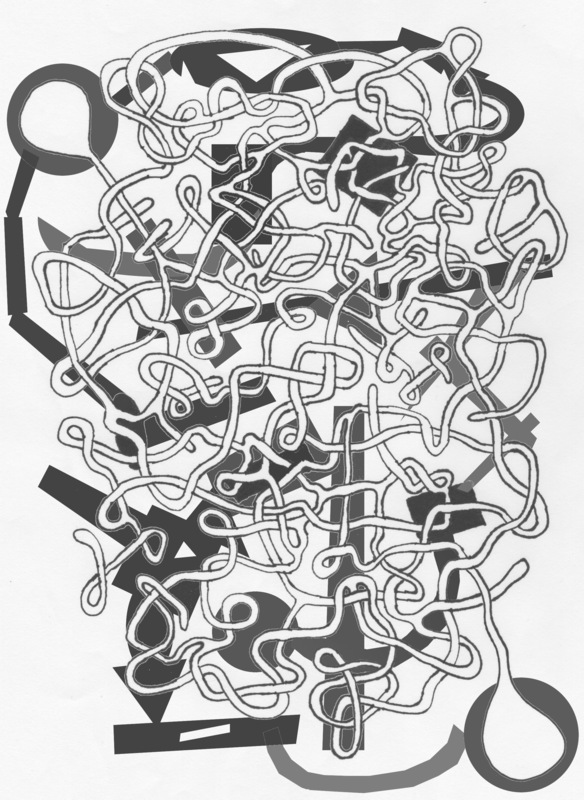 Paths become noodle paths when they are surrounded by thick black areas. Try to get from the circle to the diamond, or the other way. 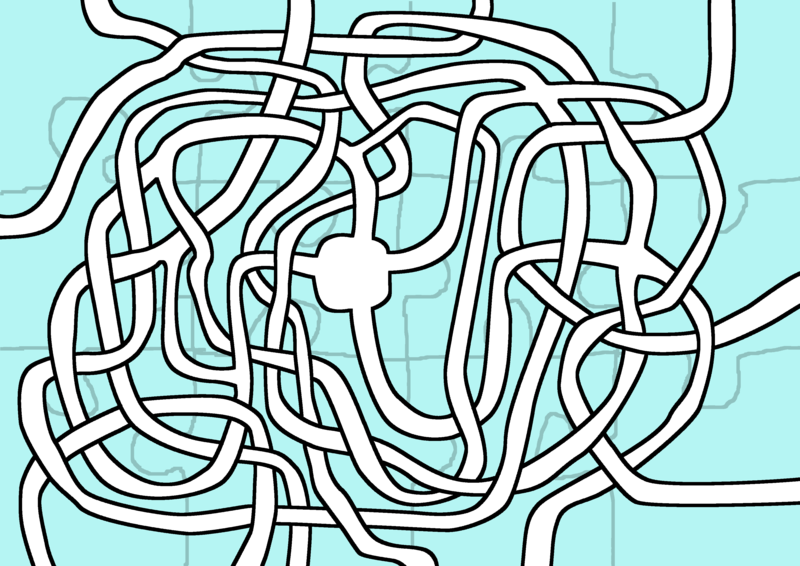 There are several viable paths; can you find the shortest? How many triangles can you visit without visiting any triangle twice? no dead ends; explore as you like! How few triangles can you cross when traveling from dot to dot? 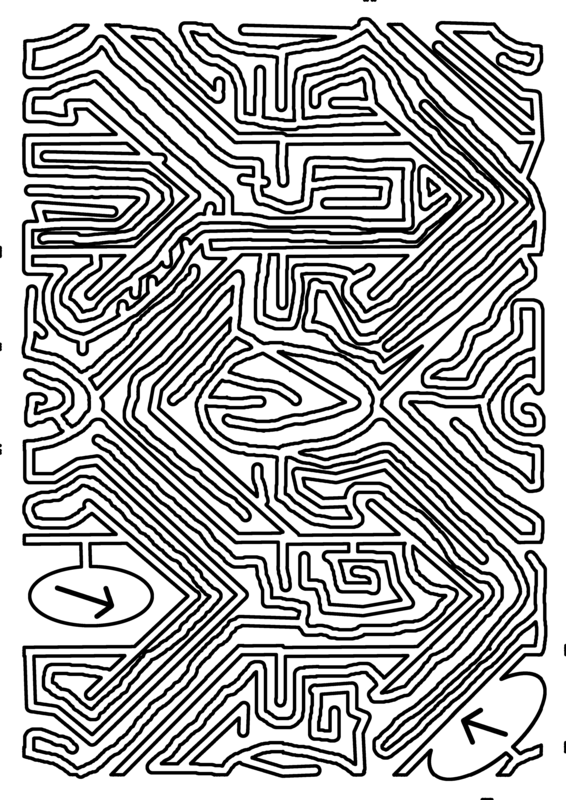 The upper portion of this maze was drawn by hand; try to get from one big bulb to the other. Paths cross over and under one another. 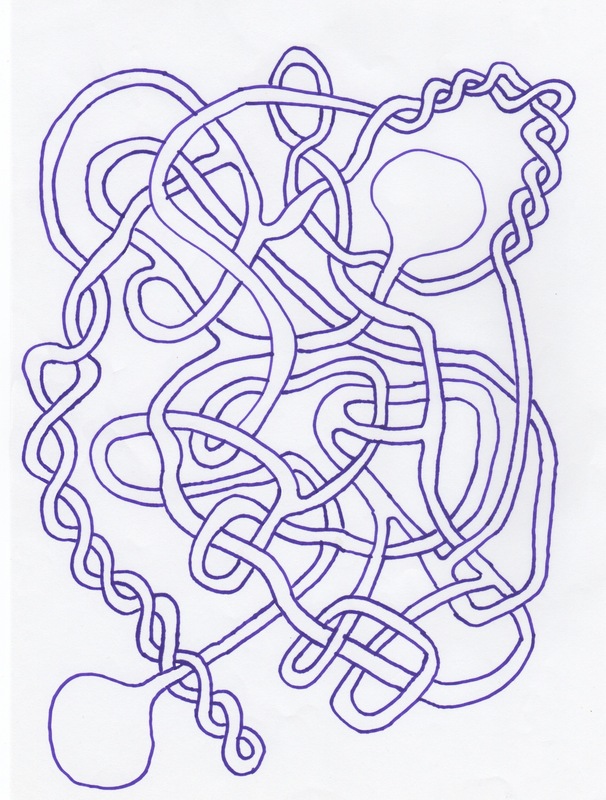 The lower portion of this maze is much easier to solve, and was much easier to draw. 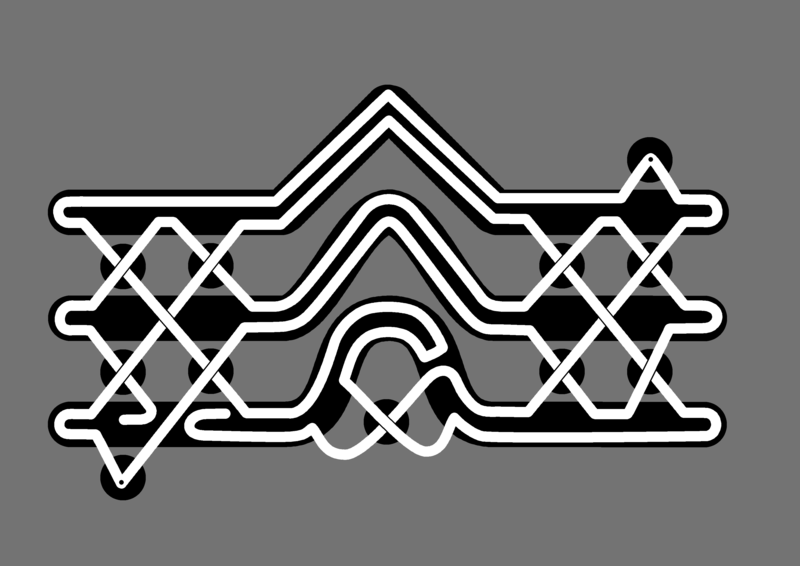 Most of it I did with gimp, as I toyed around with selections and bucket fill. 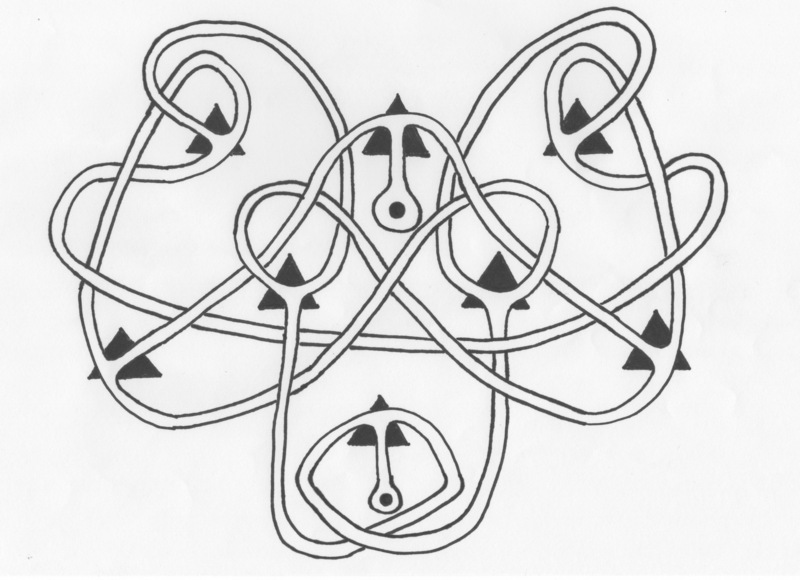 Find a path from one big circle to the other. 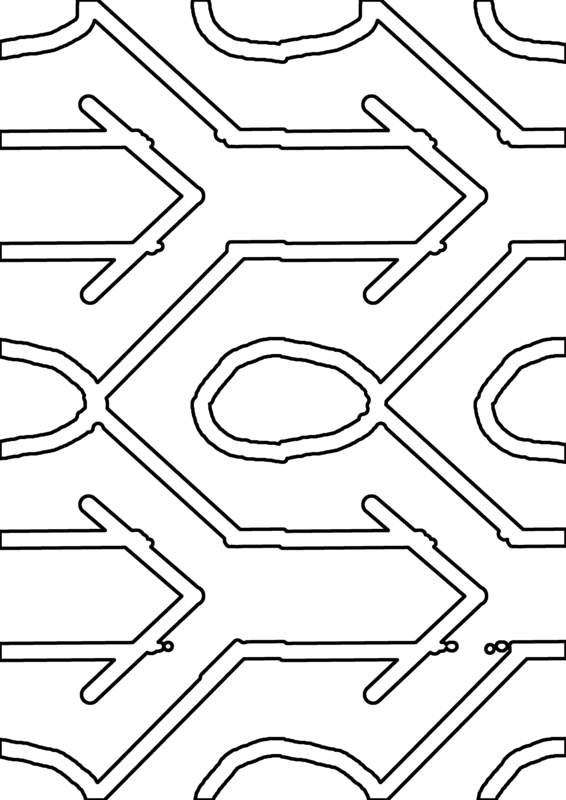 Paths go under the upper maze.